As a wee boy Gavin Inglis had a favourite book called Moon Flight Atlas. For years he was convinced the publishers had misspelt Moon Flight At Last. 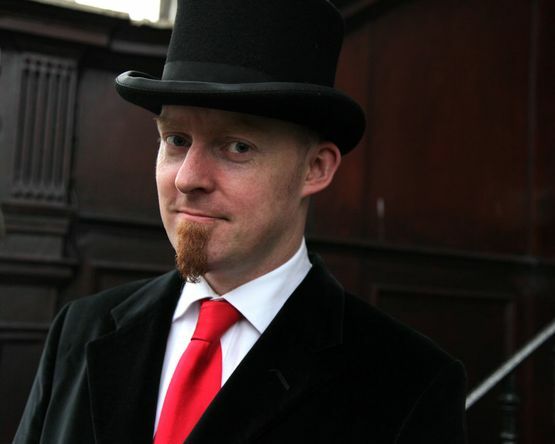 Gavin uses fiction, immersive games, hypertext and magic to tell stories, and is a founder member of the spoken word collective Writers’ Bloc. Catriona turned over again and bumped Stelios against the canvas. In the dim yellow light from outside, she saw him open one baleful eye. “Sorry,” she said. This was the first time she’d shared his tent. He had a reputation: safe, but grumpy. She stared up at the canvas, into the peak between the tent sides. It was dark up there. She heard a solitary engine, a taxi. It had to be about 4.30am; somewhere in those precious few hours where the drunks and clubbers had gone home, but before the buses started in the morning. Here in the square they had traffic on four sides. The eye closed again. She listened to him breathe into his pillow. “You ever worry about weird things at night?” she said. His eye half-opened again. It stared at her. Stelios’s hand emerged from his sleeping bag. It groped around for his laptop and opened it. White-blue light spilled on his face. He still had the other eye closed. “Come with me,” he said, and crawled to the tent door. “Are you kidding? It’s January out there.” But he was already outside. St. Andrew Square was dark and still. The Occupy Edinburgh banner hung tired between two sticks. Stelios led her away from the other tents, to the south side of the Square. He sat on a low wall beside the curved pond and opened his laptop. His breath misted in the cold air. Stelios’s computer began to hum, first like a washing machine in the distant building, then a gentle dial tone, then a breathy, whispering chime. “To Pythagoras,” he said, “Mathematics, astronomy, music … all these were the same. He believed the planets had their own unique sounds and the harmonies spoke to us in a fundamental way, although we could not hear them directly. She stood in silence as the laptop buzzed. Above, the sky was clear. Catriona blocked the streetlights to look at the stars. She found the Plough, Polaris … Aries and Pisces over the roofs to the southwest. Some of the tiny points were tinted blue, some red. Stelios gave her the laptop. He yawned and shuffled off across the square. The laptop battery said 23%. She sat and watched the flickering stars while, through the computer, they sang to her. And though she shivered, she remained there as the sky turned slowly above her, and the morning came. All audio pieces were recorded, edited and produced by Laura Cameron-Lewis and Andrew Eaton-Lewis of (g)Host City. www.virtualfestival.org and mastered by Hamish Brown. With thanks to Dr Jon Jenkins, of the SETI Institute, who produced the star sonifications from the Kepler data, and gave permission for us to reproduce them in ‘Starfield’.